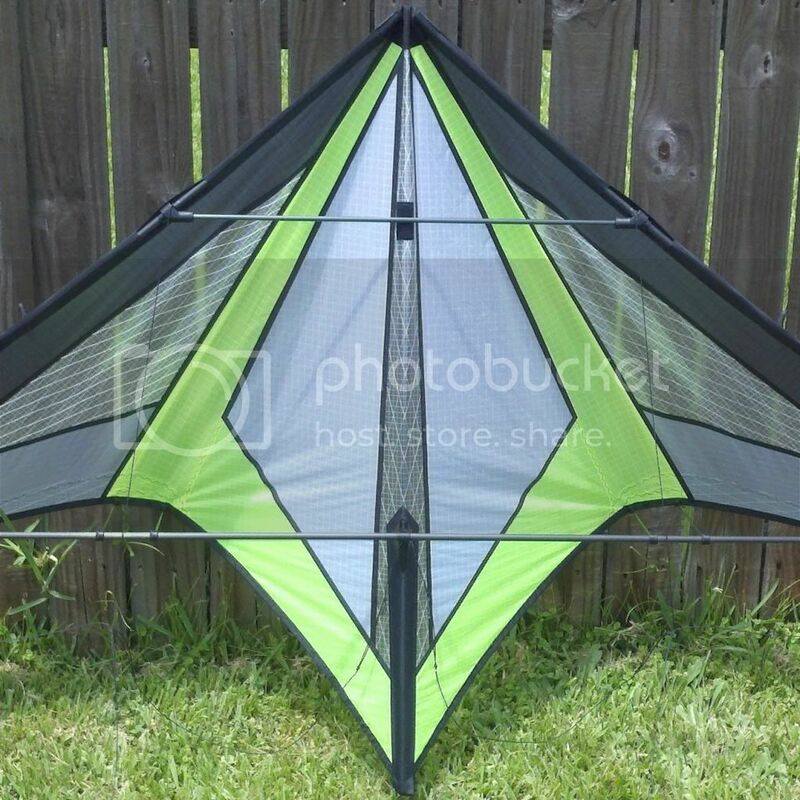 "Spectra Sports Kites" / "Spectra Star"
GWTW Forum > Kites! Kites! Kites! 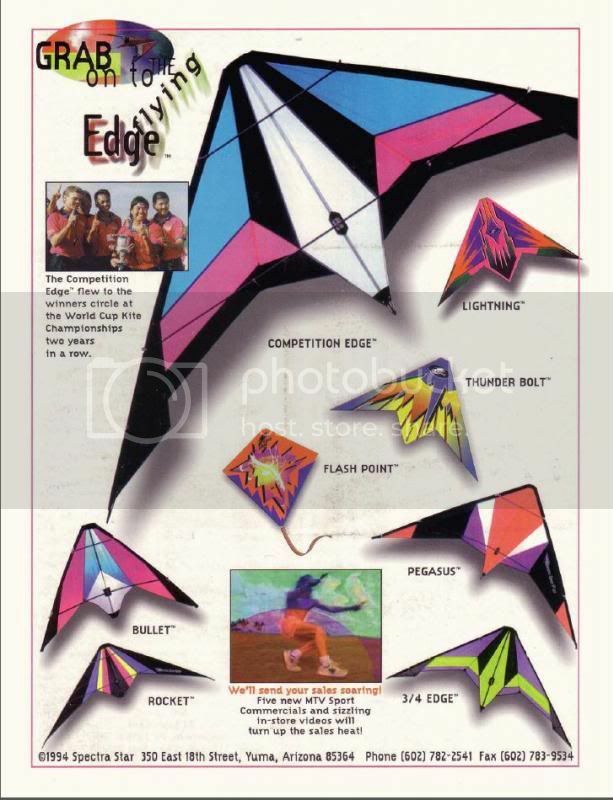 > Sport Kites > "Spectra Sports Kites" / "Spectra Star"
I have a kite in transit that the label sewn to the le says "Spectra Sports tm" and "1990 Spectra Star"
I've seen various kites by a company called "Spectra Star". 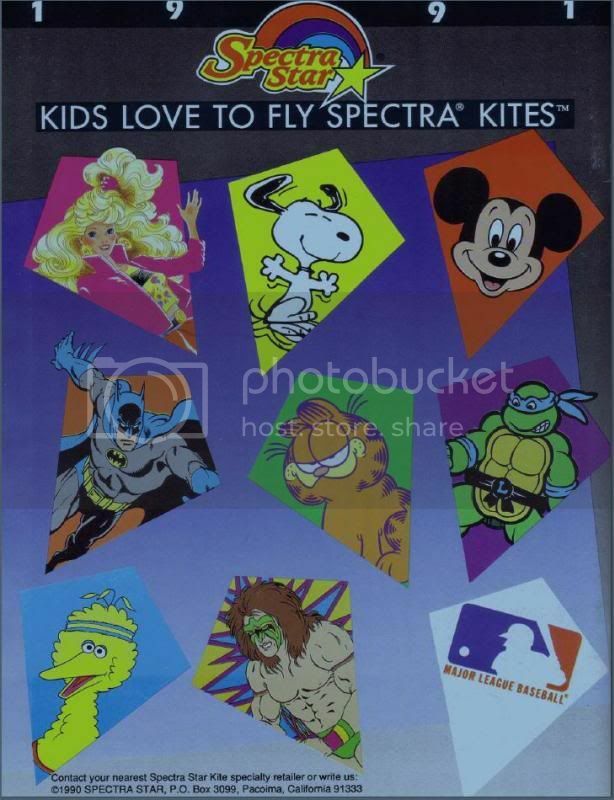 Did they make Spectra Sports kites? 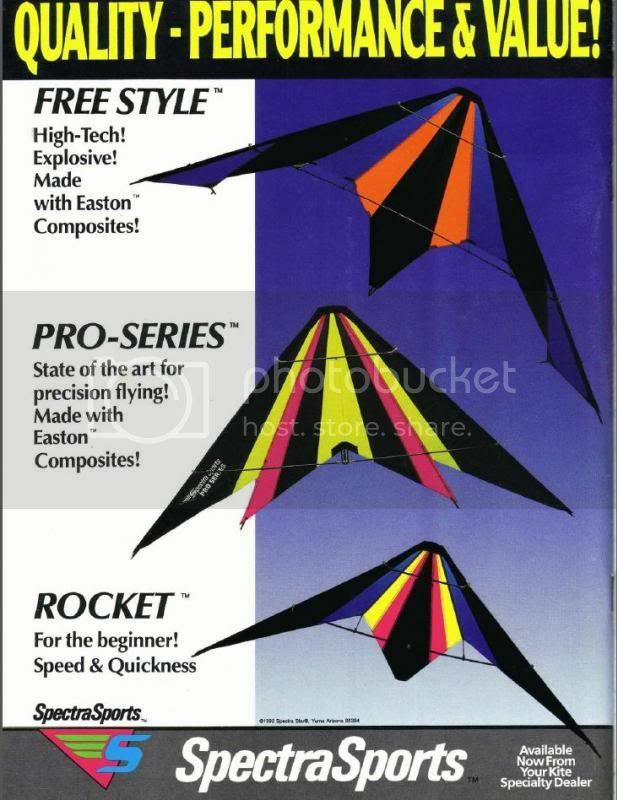 Re: "Spectra Sports Kites" / "Spectra Star"
Yes, if I recall correctly these are evolutions of the same company. I've looked up the trademarks and found some cool info on when they started the companies and also when sadly they Section 8'd them. 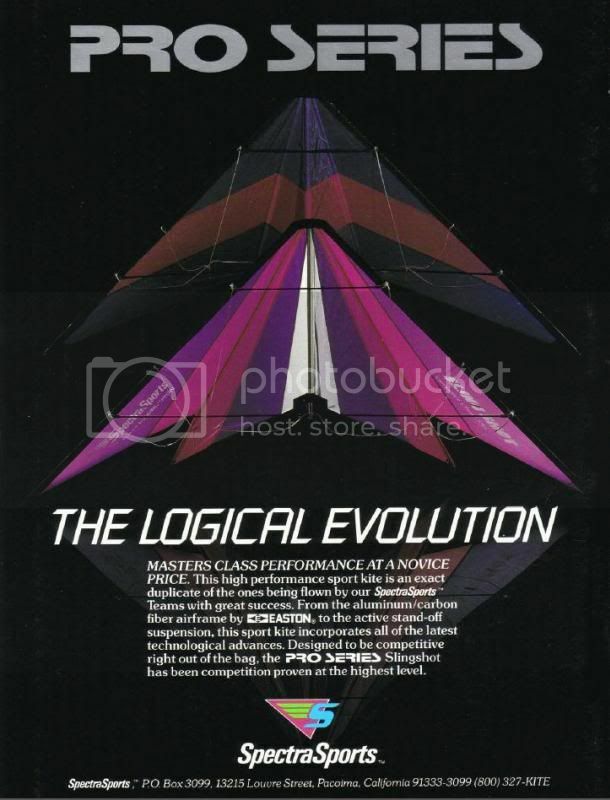 Here's also some images of the company name evolution taken from the last page of a few issues of Kite Line Magazine from 1991 to 1995. Wow! That's a bunch of info! Looks like I found a version of the "Slingshot". Sewn logo, not screened on sail. I'll put up a pic when I get it. Wow! That's a bunch of info! Looks like I found a version of the "Pro" series "Slingshot". Sewn logo, not screened on sail. I'll put up a pic when I get it. Cool, I would actually like to see what sewn in logos looked like back then. 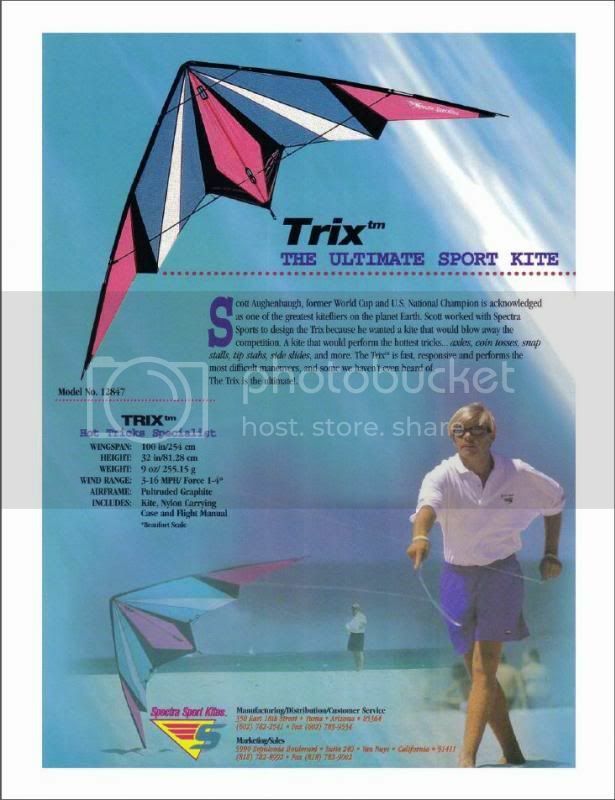 I'm going to fly a Trix today, but I will never look as cool as Scott Aughenbaugh. By the looks of the photo one would think you were flying the Trix from another cloud! This photo added to my desktop screen saver slideshow. Wow! That's a good looking Trix! I've passed up a few that were pretty ugly. Now I know to keep my eyes open.